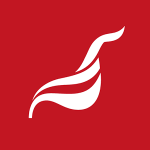 July 17th: Unite National Officer with responsibility for health, Kevin McAdam, responded to comments by the Minister for Health, Simon Hamilton, in which he welcomed the prospect of a seven-day NHS in Northern Ireland. “Despite the pressures that have been exerted on it by UK cabinet Ministers, the NHS Pay Review Body has produced a report which quashes claims that the main barrier to a seven-day-a-week NHS is the costs being exacted for unsocial hours. “The reality is that the main obstacles are underfunding, understaffing and a lack of staff involvement. The first two issues are reflective of austerity policies which have reduced health funding and led to wage stagnation. “NHS professionals in Northern Ireland are the only ones in the UK still waiting for a one percent increase recommended by the independent pay body for the 2014/15 tax year leading to a situation where health care workers here have seen their incomes decline by 15 per cent in real terms since 2010. “The health service is operating at breaking point and highly reliant on staff goodwill and voluntary working practices. Mr Hamilton needs to resolve these issues before demanding even more from healthcare staff”, Mr McAdams concluded. This entry was posted in Austerity, Campaign for Decent Pay, Living Wage, Northern Ireland news, Press Releases and tagged #UniteAgainstCuts, fair pay, health sector, Kevin McAdam, low pay, Northern Ireland, Seven Day NHS, Simon Hamilton, Unite NI. Bookmark the permalink.